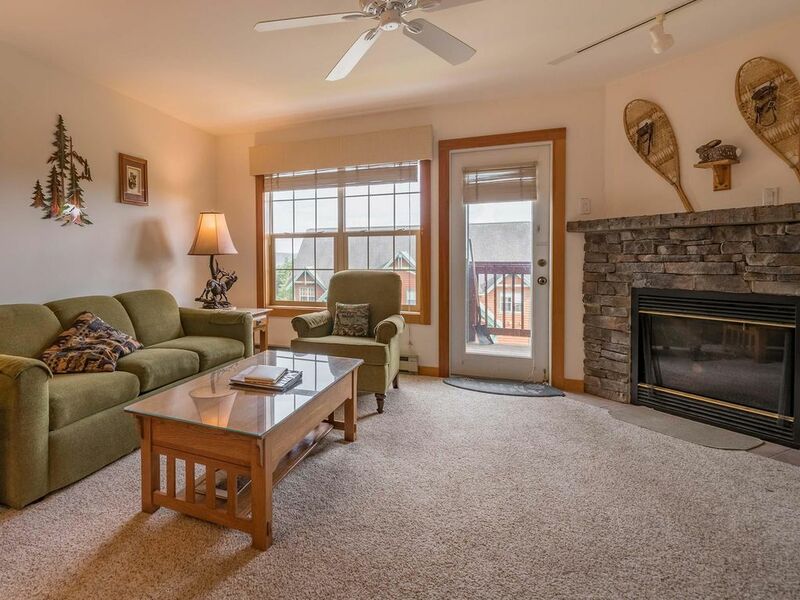 2 BEDROOMS, 2.5 BATHS: Ski In / Ski Out. Gas Fireplace. Camp 4 Hot Tub. MASTER Bedroom: Pillowtop Queen Bed with TV/DVD, private full bath. Bedroom # 2: 2 Twin Beds, TV/DVD. PLUS: Queen Sofabed in Living Room. Gas Fireplace. Free WiFi. Free Long Distance. Camp 4 Outdoor Hot Tub just steps from your door. AMENITIES: Very appealing mountain decor. Washer/Dryer. Ski Storage Entry. Professionally prepared for your arrival with top quality linens, loads of towels, paper goods, soaps, detergents. Complimentary full bag of STARBUCKS Coffee for you. Popcorn for the kids. LOCATION: Park at your door. On the north end of the main ski terrain at Snowshoe. Fronts on Camp 4 Trail, a Novice run leading to the entire trail system. Shuttle buses turn around in your parking lot for fast access to night skiing at Silver Creek, or a trip to the Village to enjoy our favorite eatery, The Foxfire Grill. ENJOY: A community hot tub, expansive mountain views, stylish rustic touches in a very spacious, almost new 2 bedroom unit. Perfect for a top notch family getaway the kids will never forget. Entry and Living area is on grade with the parking lot. Bedrooms are upstairs. Think Snow ! Thank you for the opportunity to stay at your home. We found everything we needed to feel comfortable. Nice clean unit, great for family of 5. Well furnished for meals in, convenient shuttle stop right out front. Short walk (100 ft) from front door to Camp 4 slope. The complex hot tub was also a nice bonus after a long day on the slopes. Definitely would do it again. Our family had so much fun!